Demna Gvasalia’s sensational first season at Balenciaga proved to be a hit with the fashion crowd during the recent S/S 17 fashion week street style season. Editors in all of the major cities were spotted wearing the beautifully tailored pieces, which ranged from a tartan blazer with unexpected padding at the hips all the way to the coolest denim jacket we’ve ever seen—the subject of today’s post. Though the jacket is practically sold out everywhere online (we included a link below), we couldn’t help but gather all of the ways women like Taylor Tomasi Hill and Pernille Teisbaek chose to style the statement piece. Scroll down for street style images you’ll want to pin immediately, and then shop our affordable denim jackets to get the look. Taylor Tomasi Hill styled her jacket with a tartan dress and Alaïa sandals. Offset a festive velvet dress with an understated jean jacket. We love how Natasha Goldenberg paired hers with a laid-back tee and a polished skirt. The always stylish Pernille Teisbaek gives us another way to wear denim on denim. We love seeing street style stars wear specific pieces in multiple ways; Taylor Tomasi Hill goes for the bohemian vibe this time. Let an oversize cuff peek out of your jacket sleeve. The easiest way to give your jean jacket some polish is by draping it over your shoulders. 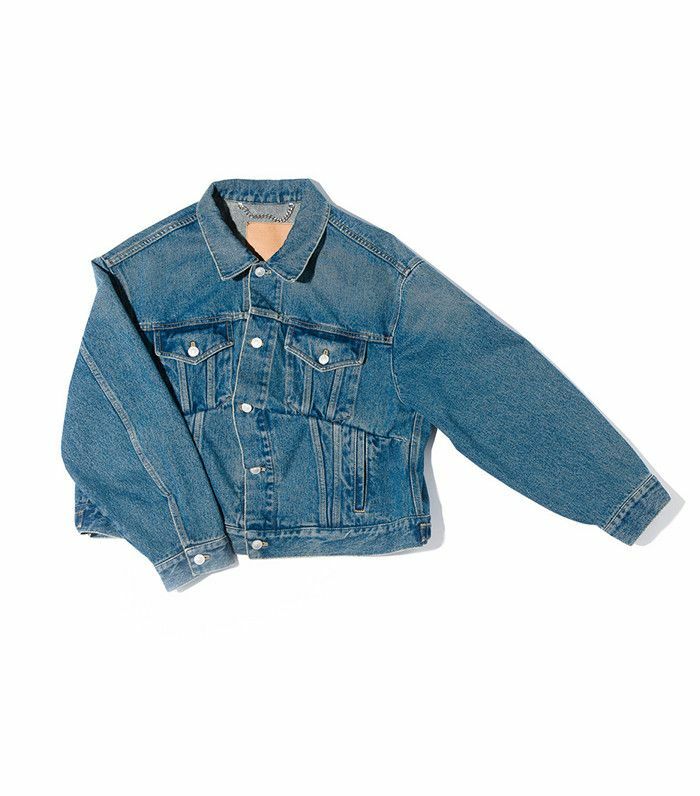 Need something to go with your new denim jacket? Might we suggest one of these amazing chunky sweaters?